Women and Gender in Postwar Europe charts the experiences of women across Europe from 1945 to the present day. Europe at the end of World War II was a sorry testimony to the human condition; awash in corpses, the infrastructure devastated, food and fuel in such short supply. From Soviet Union to the United Kingdom and Ireland the vast majority of citizens on whom survival depended, in the postwar years, were women. 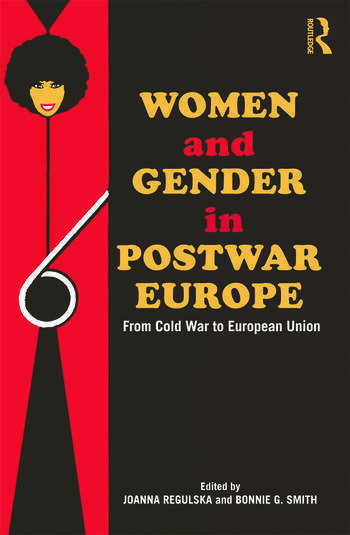 This book charts the involvement of women in postwar reconstruction through the Cold War and post Cold-War years with chapters on the economic, social, and political dynamism that characterized Europe from the 1950s onwards, and goes on to look at the woman’s place in a rebuilt Europe that was both more prosperous and as tension-filled as before. The chapters both look at broad trends across both eastern and western Europe; such as the horrific aftermath of World War II, but also present individual case studies that illustrate those broad trends in the historical development of women’s lives and gender roles. The case studies show difference and diversity across Europe whilst also setting the experience of women in a particular country within the broader historical issues and trends, in such topics as work, professionalization, sexuality, consumerism, migration, and activism. The introduction and conclusion provide an overview that integrates the chapters into the more general history of this important period. This will be an essential resource for students of women and gender studies and for post 1945 courses. Joanna Regulska is a Professor of Women’s and Gender Studies and Geography and the Dean of International Programs, School for Arts and Sciences at Rutgers. Her publications include Women and Citizenship in Central and East Europe with Jasmina Lukic and Darja Zavirsek, (2006) and Cooperation or Conflict: State, the European Union and Women with M. Grabowska, M. Fuszara and J. Mizielinska (2008). Bonnie G. Smith is Board of Governors Professor of History at Rutgers University. Her publications indclude The Gender of History: Men, Women and Historical Practice (1998); Imperialism (2000); Europe in the Contemporary World (2005); and co-author of The Making of the West: Peoples and Cultures (1994, 2001, 2005, 2009) and of Crossroads and Cultures: A History of the World (forthcoming, 2011). She has edited Global Feminisms since 1945 (2000) and Women’s and Gender History in Global Perspective (3 vols., 2004-5).